Home > News> WDSF> Is it a record number of WDSF events during one weekend? Vienna (AUT) and Paphos (CYP) host three-day events, starting on Friday. The historic building of the Vienna City Hall serves as a spectacular venue to the exclusive event for Senior age groups only. There are WDSF Opens for all Senior age groups twice during the weekend. The organiser informed us that as a special feature of the event it also includes a Team Match of Colours, where the team will be selected during the day. According to the organiser, it will bring emotions and happiness to the venue! Paphos (CYP) hosts the WDSF World Open Standard on Saturday, World Open Latin on Sunday, and WDSF Open categories from Friday to Sunday at King Evelthon Beach Hotel & Resort. It will be the only World Open event during the busy weekend. Orem (USA) hosts WDSF Open Standard, Latin, Smooth and Rhythm competitions for Adult and Senior 2 age groups at Utah Valley University Orem, Utah Campus on Friday and Saturday. 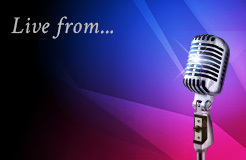 In addition to WDSF Open competitions, the 2019 USA Dance National DanceSport Championships are included in the event and the couples are competing for national titles, membership on National teams, and at the highest levels, the opportunity to represent the United States at WDSF World Championship. Thessaloniki (GRE) hosts WDSF International Open and WDSF Open competitions on Sunday. 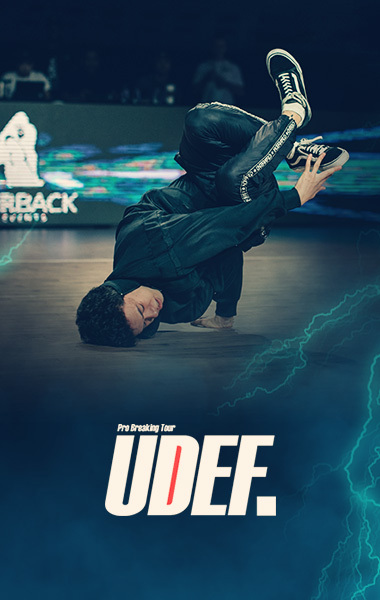 The organiser informed us that during the event they will have simultaneously competitions in six disciplines: WDSF Standard and Latin, Hip Hop, Breaking, Salsa, Oriental and Argentine Tango, and the number of participating dancers is more than 2500. There are two WDSF events in Italy during the weekend. Brendola hosts a two-day event with WDSF International Open Standard and Latin on Saturday and Sunday. Livorno hosts a two-day event at Modigliani Forum. 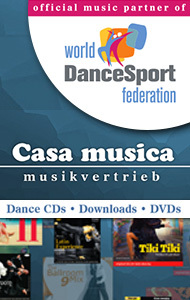 The WDSF International Open Standard and Latin, in addition to WDSF Open competitions to all age groups from Junior 2 to Senior 4 fill up the two floors of the venue (three floors on Sunday), and, according to the organisers ”bring the athletes to the center stage in an unforgettable show”. The first round of the International Open Standard starts at 14:15 CET on Saturday and the International Open Latin starts at 19:05 CET on Sunday. Jurmala (LAT) hosts WDSF Open competitions for Youth and Junior 2 age groups. The organiser informed us that traditionally the event (in photos) is an international competition for Juvenile, Junior, Youth and U21 age groups. This year there are more than 650 couples competing in four WDSF Open competitions, and 21 other Open and Beginners’ competitions. It will be an interesting event for the young dancers at Semarah Hotel Lielupe. Portoroz (SLO) hosts WDSF Junior 2 Open competitions on Saturday and Sunday. The event also includes DSE Children’s GrandPrix, which means the former monastery church of St. Bernardine, which has been rebuilt to the wellness Hotel Histrion on Portoroz shore, will be filled with young and enthusiastic talents for the whole weekend. There are two events in Russian Federation, as Krasnodar and Odintsovo host WDSF International Open and WDSF Open events on Saturday and Sunday. 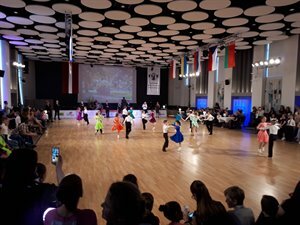 Lodz (POL) hosts WDSF Open Standard and Latin competitions for Junior 2 and Youth age groups, and WDSF Open Adult Latin at Hala Mosir on Saturday. We are looking forward to the next three days, and wish all the couples in all age groups and organisers best of luck for the weekend!